MiDAS is the Minibus Driver Awareness scheme, overseen by the Community Transport Association U.K. (CTA) which promotes a nationally recognised standard for the assessment and training of minibus drivers. Its is a membership based scheme that is designed to enhance safe minibus driving standards and promote the safer operation of minibuses, currently there are over 5,000 member organisations throughout the UK. Who is MiDAS aimed at? MiDAS is applicable to any organisation that operates or uses minibuses, from small voluntary organisations operating a single vehicle, to local authorities operating large fleets of minibuses as well as schools, colleges & universities. 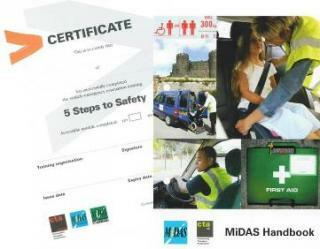 MiDAS has developed over the years from the initial minibus course to include MiDAS Accessible, Car & MPV, Passenger Assistant, Manual Handling and Minibus Fire & Evacuation courses. MiDAS drivers their admin & management are actively encouraged to keep in touch with UK Global Road Safety so we can help with any advice or information you need. UK Global Road Safety are able to provide the full programme of MIDAS Training both in the Southwest and throughout the United Kingdom including Northern Ireland. 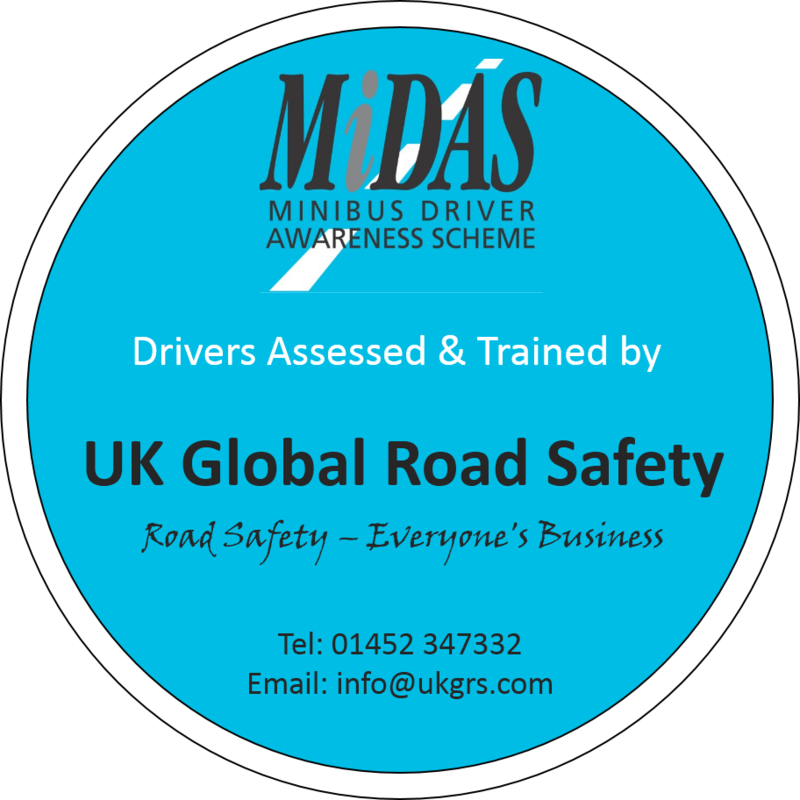 All training provided by UK Global Road Safety including the MiDAS scheme incorporates ECO Driver Training in both the theory and the practical elements of programmes. If you would like to discuss this aspect of MiDAS Training further or have questions concerning either MiDAS training in general or any other aspect of training please telephone our office. Call 01452 347332 for more information. UK Global Road Safety are a driver training & education organisation committed to the provision of high quality ECO driver friendly programmes & after care to our customers. We can provide information on the range of MiDAS driver training courses throughout the United Kingdom & Northern Ireland. Established in 1997 UK Global Road Safety developed a deserved reputation for surpassing our clients expectations with regard to the delivery of road safety training and the full range of MiDAS courses & Minibus driver awareness training including D1 & D1+E categories. UK Global Road Safety use fully qualified Fleet Registered Driving & Vehicle Standards Agency (DVSA) instructors who are also on the DVSA voluntary Fleet Register, trained in coaching ECO driving techniques, which means that our team are capable of dealing with the many varied driving questions that may arise when they attend your organisation. Before engaging the service provider check that they are well qualified & experienced to manage your needs & expectations.